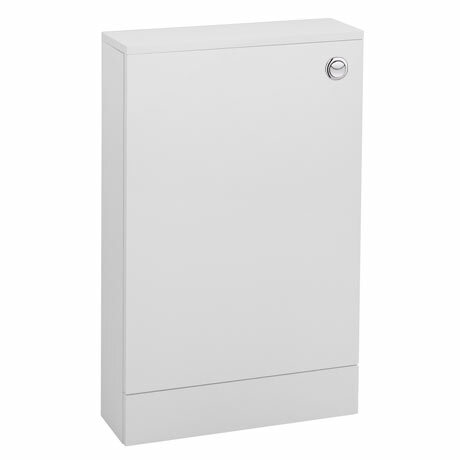 The space-saving Valencia mini gloss white WC unit, provides you with a handy space-saving solution for your cloakroom or en-suite. Ideal for keeping your bathroom tidy and clutter-free. This gloss white WC unit has a super sleek depth of 155mm! Comes supplied with a durable slimline plastic dual flush concealed WC cistern. The dual flush allows you save on water consumption. Great value as part of the furniture pack. Perfect fit for a slimline unit.